﻿ Amrap's AirIt | Australian Music Radio Airplay Project :: Music Providers :: Love & Theft Recording Co.
Amrap's AirIt | Australian Music Radio Airplay Project :: Music Providers :: Love & Theft Recording Co.
Love & Theft Recording Co.
Six is a rhythmic, pulsating jam full of driving drums and swirling synths. Six sees Saint Jude pushing itself far beyond the limits of its previous incarnation, isolating itself from its milieu in order to explore its own understanding of rock and psychedelic music. The Sugarcanes - Melbourne’s most in-demand Rock n’ Soul outfit. Heavy lashings of Stax vintage soul. All rhythm and heartbreak. This is Stax by way of Daptone Studios. Slow, deep, horn driven lament. Rhythm and heartbreak. In My Dreams is an upbeat Dr. Dog-inspired summery pop song. Saint Jude are proud to announce that all proceeds from the sale of the digital single “In My Dreams” will go to the Asylum Seeker Resource Centre. Over two EPs and two albums now Pony Face proven themselves an unconventional act that specialise in hypnotic, brooding indie rock with touches of country and psychedelia. Pony Face's version of Bruce Springsteen's 'Open All Night' is a cautiously upbeat affair, bringing together a full band and programmed drum sounds to expand on The Boss' original Nebraska demo concept. 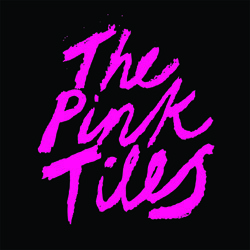 The Pink Tiles are Melbourne’s coolest lady-fronted garage bubblegum pop good time band. Ordinary Girl is an upbeat garage pop number in the bubblegum vein. Coming in at just over 2 minutes (making it more or less the longest song in The Pink Tiles canon), Ordinary Girl is all kinds of toe-tappin', hip-shakin' awesome. Saint Jude are a Melbourne based five-piece playing gospel tinged country and garage blues with a rock'n'roll swagger. Laurelie is the second single from forthcoming 'Saint Jude II'. 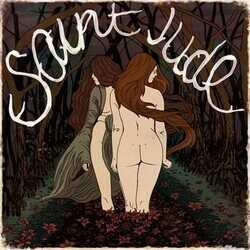 A deep slice of Southern-fried country soul, Laurelie sees Saint Jude at their heart-rending finest. Inspired by independent bluegrass and acoustic country/folk of the Midwest USA, and shaped by years playing in punk bands, Cherrywood have carved their own harmonious sound. Pentridge is an archetypically Australian first-person character sketch of heartache and hope, backed by colonial-era instrumentation. See-sawing like a lovelorn drunk, Pentridge was inspired by thousands of grim true stories from Australia's past. Chris Russell’s Chicken Walk play low down, down home, juke joint blues. Whereas previous singles from the dynamic duo of Chris Russell’s Chicken Walk focussed on the driving, hypnotic boogie elements of hill country blues, ‘Someday My Sun Gonna Shine’ displays a different side. ‘Someday…’ is the perfect, tender counterpoint, the hard-luck working class ballad for the lovesick and the downtrodden alike. Chris Russell's Chicken Walk play low down, down home Juke Joint Blues. This Melbourne-based two piece's debut album is filled with hypnotic boogie straight from the Northern Mississippi hill country. Skinny Girl is the first single from the debut album by Chris Russell's Chicken Walk. A foot-stomping, head nodding, low down Juke Joint number hem sewn in the dirt of the home of Blues music, Clarksdale, Mississippi. Skinny Girl offers the perfect introduction to the distinctive Chicken Walk sound. Saint Jude are a new gospel-tinged country rock 5 piece featuring members of Little John, Downhills Home & Dynamo. They make music to dance, sing and cry to. All Ways Were Lost is an upbeat soulful summer retreat. It’s a group of voices, a mess of guitars and a nifty bit with a glockenspiel. Most importantly, it's a solution to the doldrums, to the noise of the city, to the straight road and the long day. A captivating storyteller, with 'I Thought I'd Be Someone By Now', Smith delivers a complex rumination on the minutiae of regret and redemption without once asking for forgiveness. The Bowers, rock n' roll/powerpop quartet from Melbourne, featuring members of Rocket Science, Spencer P. Jones' Escape Committee, Houlette, Dynamo & Mission Control, release their critically acclaimed debut album. 'Caught Your Smile' is the second single from The Bowers' 'Her Night', an instantly captivating, reverb-drenched track penned by guitarist Phil Gionfriddo. The Age's Patrick Donovan mentioned Phil in the same breath as Daniel Johns, Missy Higgins & Gotye as being amongst the future of Australian songwriting.